First I made fun of them and said “ugh.” But at some point my feelings changed. 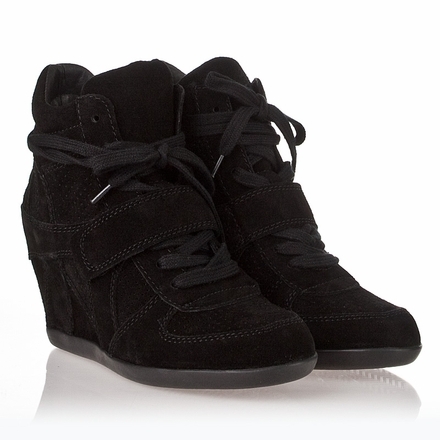 I bought a pair of Ash wedge sneakers which means the trend is officially over, right? Still, I think I’m in love. I want more colors. This entry was posted in Chick stuff, Style and tagged Ash, booties, Bowie, fashion, I bought it, shoes, Style, trends, wedge sneakers on October 22, 2012 by onechicklette.